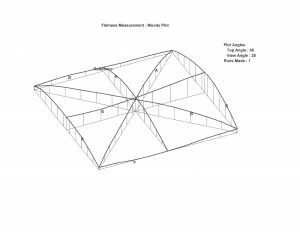 This technical brief was submitted by Jim Bible of Dimensional Gauge Co., Inman, SC. Jim Bible has been in the granite surface plate calibration and repair business for over 34 years. Dimensional Gauge Company was the very first dedicated dimensional gaging sales and repair in South Carolina. 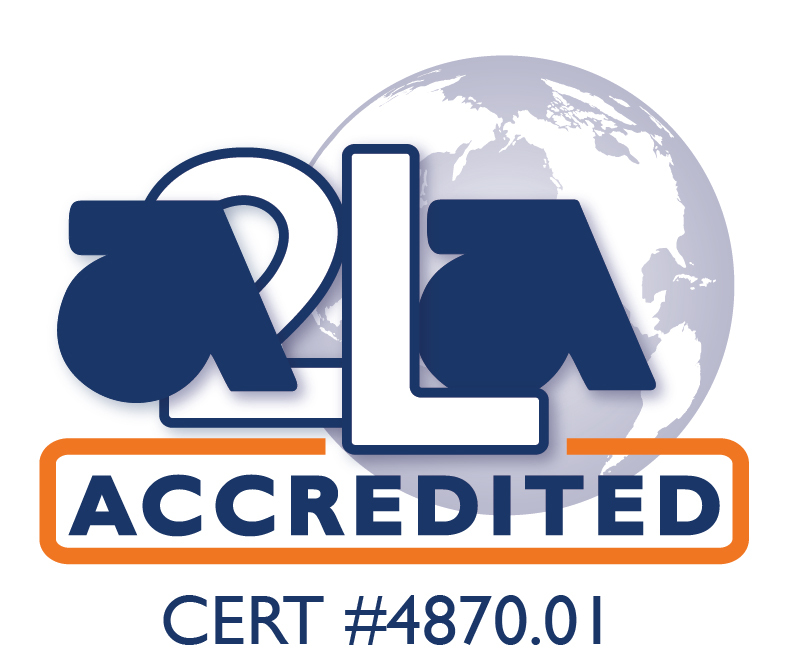 Dimensional Gauge was the first company in the US to achieve ISO Guide 25 accreditation in surface plate calibration, then upgrading to ISO-17025 accreditation in 2003. DGI metrology became a part of the new company name to reflect it’s expansion in to other calibration services. DGI’s primary customer base is Aerospace, Energy, Military and Automotive. Prior to WWII and still in use in some areas of manufacturing, inspection of parts for dimensional characteristics were performed on steel surface plates. As WWI got into full swing the need for steel increased dramatically. Granite became the material of choice to replace steel and fortunately so. Several advantages of granite over steel became evident. Granite is harder (though more brittle and subject to chipping). Granite could be lapped to much greater flatness accuracy and more easily than steel. Granite also has more desirable property of very low thermal expansion, especially compared to steel. Further, if a steel plate needed repair it had to be hand scrapped by artisans who also applied their skills in machine tool rebuild. Granite is igneous rock meaning it has been around a long time, formed by volcanic eruptions. By comparison marble is metamorphosed limestone. In order to meet the requirements for metrology use, the granite selected should meet specific requirements. Those requirements are shown in Federal Specification GGG-P-463c, hereinafter called Fed. Specs and specifically Part 3.1 3.1 Among them are that the granite should be of fine to medium grained texture. Granite is very hard but varies in hardness for several reasons. An experienced granite plate technician can estimate the hardness by its color which usually is an indication of it’s quartz content. Granite hardness is a property defined in part by the amount of quartz content and lack of mica. The red and pink granites tend to be the hardest, the greys are medium hardness and the blacks are the softest. The flexibility or indication of the stones hardness is expressed with the Young’s Modulus of Elasticity. A pink granite averages 3-5 points on the scale, greys 5-7 points and blacks 7-10 points. The smaller the number the harder the granite tends to be. The larger the number the more the granite will flex. This is important to know when choosing a thickness not only to meet the thickness required for certain tolerance grades but also the weight of the part and gages to be placed upon it. In the old days when there were real machinists, known by the trig tables booklet in their shirt pocket, black granite was considered to be the “best”. Best being defined as the type that gave the most wear resistance or harder. One drawback is the harder granites tend to chip or ding easier. These machinists were so convinced that black granite was the best that some manufacturers of granite plates were manufacturing plates of pink granite, then the plate was dyed black. I’ve personally witnessed a plate that was dropped off a fork lift as it was being moved from storage. The plate hit the floor and split in two revealing the true pink color. Use caution if planning a purchase of black granite out of China. We recommend you waste your money some other way. A granite plate can vary in hardness within itself. A streak of quartz can be much harder than the rest of the plate. A wide layer of black gabbro can make an area much softer. A good reason to select trained, experienced surface plate repair techs. Flatness testing has 4 approved methods. Electronic levels, autocollimation, laser and a device known as a plane locator. Dimensional Gauge Company uses electronic levels and consider them the most accurate and fastest method for a number of reasons. Lasers and autocollimators use a very straight beam of light as a reference. The distance variation from the light beam are measured along the line being checked. The light emitted must exit the source, strike a reflective target and return to the source. The target and the source are affected by vibration, ambient temperature, a less than flat or scratched target, contamination in the air and air movement (currents). All these contribute unnecessary components of error. Further, the contribution of operator error from autocollimation is greater. A skilled autocollimator user can make very accurate measurements but still faces problems with consistency of reading especially over longer distances (the reflections tends to widen or become slightly blurred), a less than perfectly flat target and a long day of peering through the lens. A plane locator device is just silly. This device uses a somewhat straight (as compared to an extremely straight collimated or laser beam of light) as its reference. Not only does the mechanical device use an indicator normally of only 20 u Inch resolution but the un-straightness of the bar and dissimilar materials add significantly to errors in measurement. In our opinion, although the method is acceptable, no competent lab would ever use a plane locating device as a final inspection instrument. Electronic levels use gravity as its reference. Differential electronic levels are not affected by vibration. They have resolution as low as .1 arc second and measurements are fast, accurate and there is very little contribution of error from an experienced operator. Neither Plane Locators nor autocollimators provide computer generated topographical (Figure 1) or isometric plots (Figure 2) of the surface. This is such an important part of this paper it should have been placed on top of everything else. As I stated earlier, Fed Spec. GGG-p-463c IS NOT a calibration method. It serves as a guide for many aspects of metrology grade granite whose intended buyer is any Federal Government Agency and that includes the methods of testing and tolerances or grades. If a contractor claims adherence to Fed Specs the flatness value shall be determined by the Moody Method. Moody was a fellow from way back in the 50’s who devised a mathematical method to determine overall flatness and account for the orientation of the lines tested, whether they be sufficiently close in the same plane. Nothing has changed. Allied Signal tried to improve on the mathematical method but concluded that the differences were so small it wasn’t worth the effort. If the surface plate contractor uses Electronic Levels or laser the computations are provided with computer assist. Without computer assist the technician using autocollimation must calculate the readings by hand. In reality, they don’t. It takes too long and frankly may be too difficult and from what I’ve seen, not performed at all. In a flatness test using Moody Method, eight lines in a Union Jack configuration are tested for straightness. The Moody Method is a mathematical way to determine if the eight lines are on the same plane, otherwise you just have 8 straight lines that may or may not be on or near the same plane. Further, if that contractor claims adherence to Fed. Spec and uses autocollimation he must generate eight pages of data, one for each line checked to prove his testing and or repair. Otherwise the contractor really has no idea what the real flatness value is. 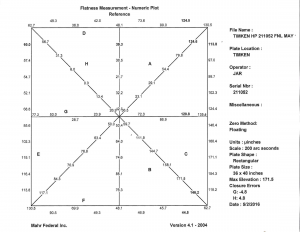 I am certain if you are one of those that get your plates calibrated by a contractor using autocollimation, you have never seen those pages! Figure 3 is a sample of just one page of the eight necessary to compute the overall flatness. One indication of that ignorance, and in my opinion malice, is if your report has nice rounded numbers, for example, 200, 400, 650, etc. A properly computed value will be real numbers such as 325.4 u In. When the Moody Method of computations is used and the value is computed manually you should receive the eight pages of computations and an isometric plot of the surface showing the varying heights along the different lines and how much distance separates select intersecting points. Dimensional Gauge technicians use differential levels (Figure 4) as preferred devices to measure the minute changes in angularity from measurement station to station. The levels have a resolution down to .1 arc seconds (5 u Inches using 4″ sled) are extremely stable, are not affected by vibration, distances measured, air currents, operator fatigue, air contamination or any of the problems inherent in other devices. Add computer assistance and the task becomes relatively fast, generating topographical and isometric plots proving the verification and most importantly the repair. Repeat reading, or repeatability is in my opinion the most important test. It is performed with a repeat reading fixture utilizing an LVDT and amp, the amp necessarily being with high resolution. The LVDT amp should be set to a resolution of minimum of 10 u Inches or 5 u Inches for high accuracy plates. A mechanical indicator with a resolution of only 20 u Inches is worthless if you are trying to test a repeatability requirement of 35 u Inches. That indicator has 40 u Inches uncertainty before testing begins! The repeat reading setup mimics a height gage/part setup. Repeatability IS NOT the same as overall flatness (Mean Plane). I like to think of repeatability in granite being viewed as a consistent radius measurement. If you tested repeatability of a perfectly round ball, then you have demonstrated the ball’s radius hasn’t changed. (The ideal profile of a plate and indeed a plate that has been properly repaired will have a convex generally crowned shape.) However, it is evident that the ball is not flat. Well, sort of. On an extremely short distance it is flat. Since the majority of inspection work involves a height gage in close proximity to the part, Repeatability becomes the most critical property of a granite plate, more so than the overall flatness unless a user is checking, for example, straightness of a long part. Make certain that your contractor performs a repeat reading test. A plate can have a repeat reading significantly out of tolerance but still pass a flatness test! Amazingly a lab can get accreditation in testing that does not include repeat reading. A lab that cannot repair or is not very good at it prefers to perform flatness testing only as flatness rarely changes unless a plate is moved. Repeat reading testing is the easiest to test but the most difficult to achieve when lapping. Make certain your contractor can restore repeatability without “dishing” the surface or leaving waves in the surface. This test involves measuring the ACTUAL temperature of the stone at its top surface and its bottom surface and computing the difference (Delta T) for reporting on the certificate. It’s important to know that the average coefficient of thermal expansion in granite is 3.5 uIn/Inch/degree. Ambient temperatures and humidity’s effect on a granite plate is negligible but a plate can actually go out of tolerance (sometimes improve) if there is even a .3 – .5 degree F Delta T. When a plate is tested in the future it is necessary to know if the Delta T is within .12 degrees F of where the differential was last calibration. Also important to know is that a plate’s work surface will migrate towards heat. If the top temperature is warmer than the bottom the top surface will rise. If the bottom is warmer (rare) the top will sink. It’s not enough for a quality manager or technician to know the plate is flat and repeatable at the time of calibration or repair but what was the Delta T at time of final calibration testing. 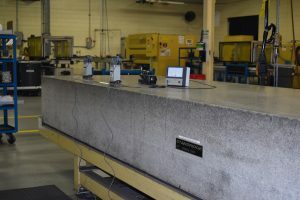 In critical situations a user can, by measuring the Delta T himself, determine if a plate has actually gone out of tolerance due solely to Delta T variations. Fortunately, granite takes a long time to acclimate to an environment (Many hours or even days) and minor daily fluctuations in ambient temperature will not effect it. For these reasons we do not report ambient temperature or humidity because the effects are negligible. While granite is harder than steel plates, granite still develops low spots on the surface. Proper surface plate calibration and repair is critical for all surface plates but especially those that get repetitive wear. The wear is caused by repetitive movement of parts and gages upon the surface, especially if the same area is used constantly. Dirt and grinding dust allowed to remain on a plate’s surface speed up the wear process as it gets between your part or gage and the granite surface acting like sandpaper. Constant cleaning is highly recommended to reduce wear. We have seen it happen that a plate gets wear unnecessarily by daily UPS package deliveries to the top of the plate! 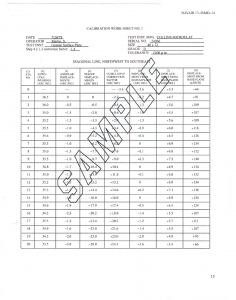 Those localized areas of wear affect a calibration test known as repeat reading or repeatability. Avoid wear by cleaning constantly. We use a tack cloth to remove grit. Just press very lightly so you don’t leave glue residue. A well used tack cloth does an excellent job of picking up grinding dust between cleaning. Do not work in the same spot. Move your setup around the plate, distributing the wear. It is OK to use alcohol to clean a plate but be aware that doing so will temporarily super cool the surface. Water with a small amount of soap is good. The commercially available cleaners like Starrett’s cleaner are good but make sure you get all the soap residue off the surface. It should be evident by now the importance of making certain your surface plate contractor performs a competent calibration. The “Clearing House” type labs that offer “Do it all with once call” programs rarely have a surface plate technician that can repair or if they do offer repair, have a tech that has the intense experience needed when plates are significantly out of tolerance. If you are ever told a plate cannot be repaired because of extreme wear, call us. We likely can make that repair. Our techs will generally work between 1 to 1.5 years apprenticeship under a Master Surface plate Technician. We have 3 Master techs on staff. We define a Master as a tech with minimum 10 years experience working alone beyond apprenticeship. Even then another Master Tech is always available for advice or guidance under difficult or critical situations. We have one tech that came to us with 30 years of experience. They are trained in all sizes of plates from small to very large, varying environmental conditions, different industries, and against major wear problems. Fed Specs have specific finish requirements of 16 to 64 AA roughness. We prefer a finish in the 30-35 range. There is just enough roughness to ensure parts and gages move smoothly but a finish not so glossy that parts and gages stick or wring. When we repair we inspect the plate for proper mounting and levelness. We use a dry lap method but in the case of extreme wear requiring substantial granite removal we will use a wet lap. Our technicians clean up after themselves, they are thorough, fast, precise. That’s important because the cost of granite plate service includes your downtime or lost production. A competent repair is of paramount importance and a contractor should never be chosen on price or convenience. Some calibration work demands highly trained individuals. We have that. If a plate is lapped (Repaired) the certificate should be accompanied by a topographical or isometric plot to prove the work was valid. Simply, just because a lab has accreditation in surface plate calibration does not necessarily mean they know what they are doing much less doing it correctly. It does not necessarily mean the lab can repair. The accrediting bodies do not make the distinction between verification or calibration (repair). Frankly, one accrediting body will tie a ribbon around my dog if I paid them enough money! It is a sad fact. I’ve seen labs get accreditation by performing only one of the three tests required. I’ve seen them get accreditation with unrealistic uncertainties and get accredited without any proof or demonstration of how the values were derived. The role of precision granite surface plates and surface plate calibration cannot be under estimated. The flat reference that granite surface plates provide are the foundation upon which all other measurements are made. You can utilize the most modern, most accurate and most versatile measuring instruments but if the surface they are mounted upon is not flat you will not get valid measurements. 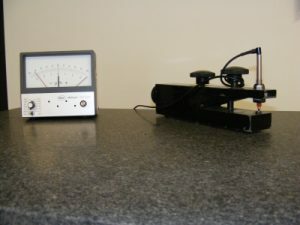 Incredibly I had a prospective customer actually say to me “well they are just a rock!” My response was “OK, mam, you’re absolutely correct and you definitely cannot justify having experts come in to maintain your plates.” Price is never a good reason to choose surface plate calibration contractors. Buyers and bean counters do not understand that but recertifying granite plates is not like recertifying a micrometer, caliper or simple DMM. Some instruments require expertise, not a cheap price. That being said, our rates are very reasonable, especially for the confidence in knowing that the work is performed correctly, well beyond ISO-17025, ANSI-ASME and Federal Specification requirements and in added value. In 34 years we have never had a customer report they had any problems with our surface plate calibration or their product that could be traced back to the plates we repaired and recertified!